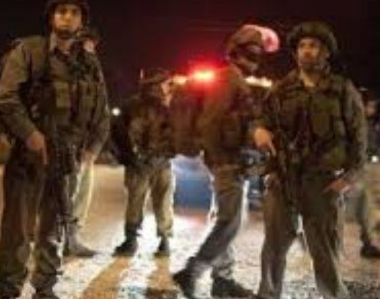 Israeli soldiers abducted, earlier Sunday, at least fifteen Palestinians in the occupied West Bank, including ten in occupied East Jerusalem, during violent invasions and searched of homes. In Jerusalem, the soldiers invaded the al-Isawiya town, broke into and violently searched many homes, and abducted nine Palestinians, identified as Mohammad Mansour Mahmoud, Hazem Suleiman Mustafa, Fuad Mohammad Mustafa, Abdul-Hai Dari, Ismael Yousef Mheisin, Waseem Abu Sneina, Mohammed ‘Oleyyan, and two physicians identified as Nidal ‘Oleyyan and Bilal ‘Oleyyan. 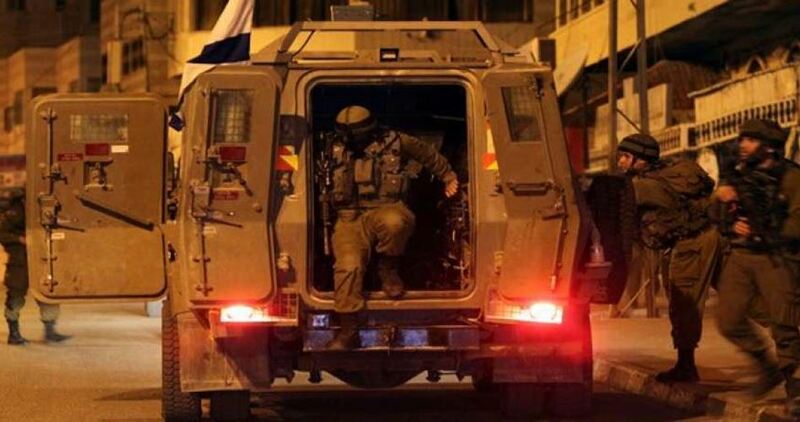 The soldiers also abducted Bassel Mustafa Abu Eid, in Biddu town, northwest of Jerusalem. In addition, the soldiers invaded many homes in the northern West Bank city of Nablus, and abducted ‘Ameed an-Nouri and Abdul-Salam al-Qoqa. Furthermore, the soldiers abducted Sameh Yasser Fakhouri and Ahmad Alawna, both from Jaba’ town, south of the northern West Bank city of Jenin, after stopping them at a sudden military roadblock while heading to Ramallah, in central West Bank. 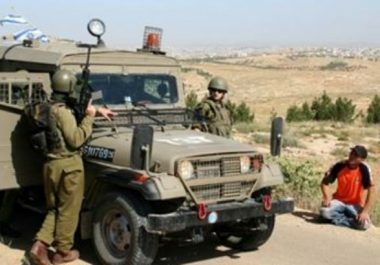 The soldiers also invaded and searched homes in al-Minya village, southeast of Bethlehem, and abducted Mustafa Mahmoud Abu Hussein, 36, and Mohammad Khalil Abu Hussein, 17. Israeli police arrested Sunday evening the retired Major General Yusuf al-Sharqawi at a military checkpoint erected near al-Issawiya town in occupied Jerusalem, PIC reporter said. Al-Sharqawi, 64, was detained after being stopped at the military checkpoint while driving home in Dheisheh refugee camp in Bethlehem. He was forced to sell off his car and taken to unknown detention center. 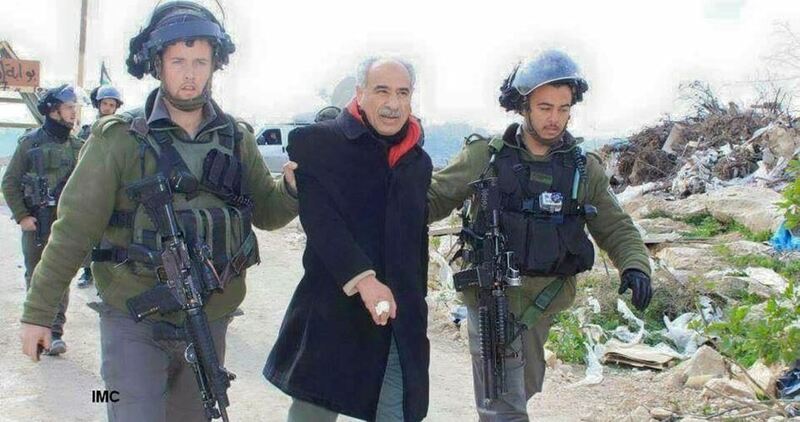 Israeli forces abducted seven Palestinians, in a wide arrest campaign across the occupied West Bank. The Israeli army explained, in a statement, that the detainees are wanted in relation to security. 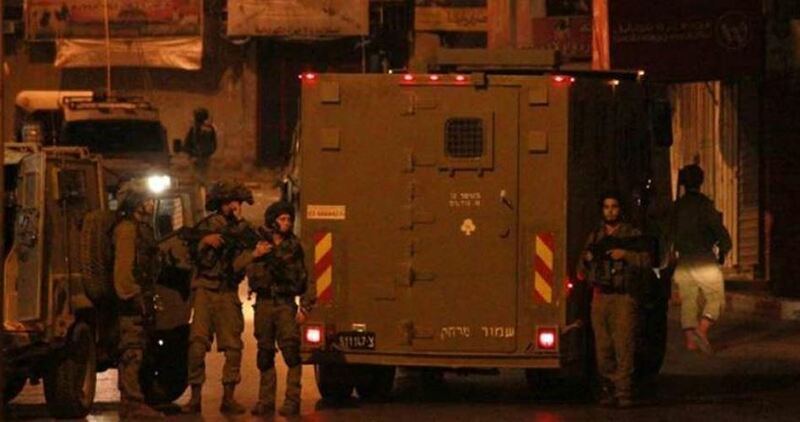 In Bethlehem, soldiers took into custody two Palestinians from the Mansheyah area. Local sources reported, according to Al Ray, that a number of ex-detainees were served with summons to appear before intelligence services. Soldiers stormed Nablus amid intensive flight of helicopters and drones. They also raided two housing buildings in Sufian street, taking two Palestinians. Local sources reported that violent clashes erupted between Palestinian youth and Israeli soldiers, in which the soldiers fired tear gas and stun grenades towards Palestinians. Violent clashes also erupted between Palestinians and Israeli soldiers in early morning raids on Tulkarem. 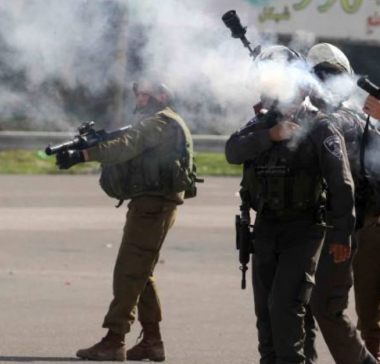 Many suffocation were cases reported due to tear gas fired by Israeli soldiers. 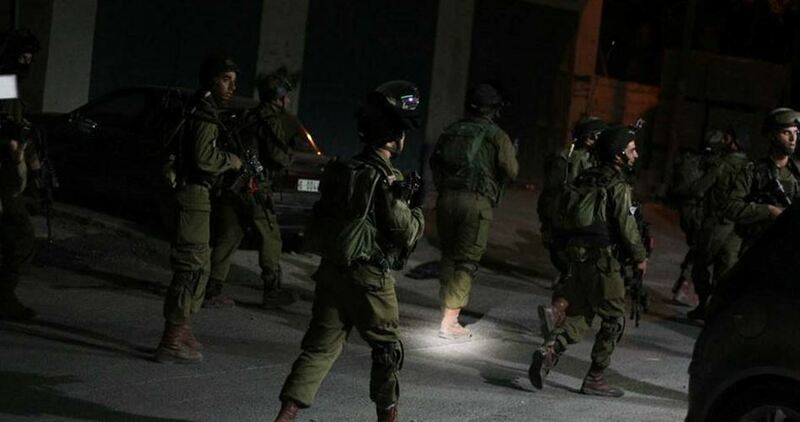 Israeli forces also abducted two Palestinians in raids on Jaga’ town, southern Jenin, at a military checkpoint. Israel’s Ofer Court extended the detention of activist Mondher Ameira who was kidnapped in pro-Jerusalem protests. A PIC news correspondent said the Israeli occupation authorities brought 43-year-old Mondher America before Ofer Court. Ameira got his remand extended until January 3. A list of indictments is expected to be filed against him in the upcoming court hearing. Activist America was kidnapped by the Israeli occupation forces last Wednesday during a march held by the Factional Coordination Committee in Bethlehem to protest Israel’s recognition of Occupied Jerusalem as Israel’s capital. An Israel judge ripped into the Shin Bet, an Israeli intelligence service, for its interrogation tactics, saying they could lead people to confess crimes they did not commit. 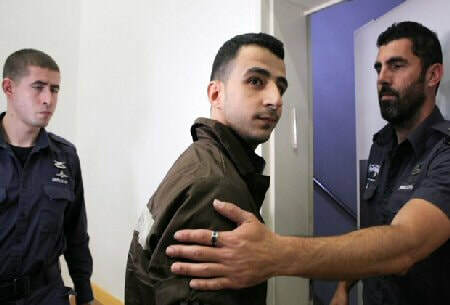 The panel of Be’er Sheva District Court judges has issued the opinion blasting the security service as part of a ruling explaining their acquittal last month of Khalil Nimri, a Palestinian accused of terrorism. 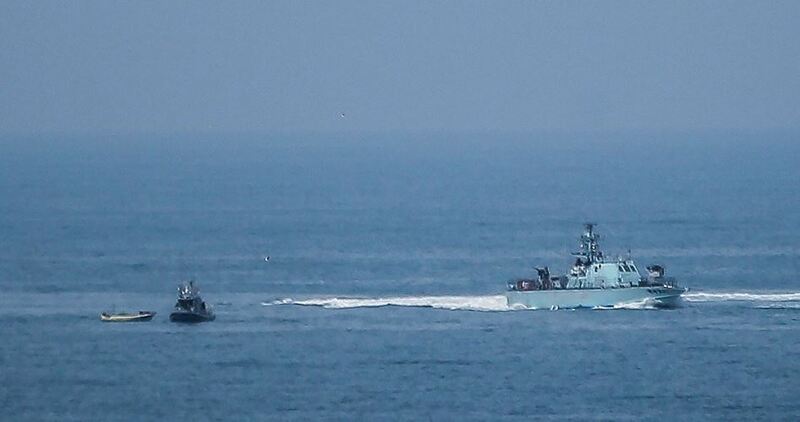 Israeli newspaper Haaretz said, according to Days of Palestine that the court found that Nimri, who had been charged with planning an attack on Eilat hotel, had confessed under interrogation to acts that it was doubtful that he committed. “The Shin Bet needs to take a good look at itself so that interrogation techniques, which do indeed sometimes uncover dangerous acts of terrorism, aren’t also liable to induce innocent people to admit to acts that they did not commit,” the judges declared. “There is tangible concern that the defendant was arrested and spent two years in detention over no fault of his own,” they added. Nimri was arrested about two years ago, after a reception clerk at an Eilat hotel claimed that he had approached the reception desk and asked questions that aroused the clerk’s suspicions. The questions related to ultra-Orthodox hotel guests, the clerk said, according to Haaretz. However, several days later the clerk encountered another Palestinian, Ashraf Salaimeh, and realised that it was he and not Nimri who had approached the reception desk. The clerk then informed the police of his mistake. Salaimeh was arrested, but Nimri had already admitted under Shin Bet interrogation to having planned a terrorist attack on the hotel. Salaimeh and Nimri, who worked and lived in Eilat, were charged with conspiracy and assisting the enemy in wartime. They were accused of planning to plant explosives at Eilat’s Rio Hotel a plan that, according to the indictment, was foiled thanks to the hotel staff’s alertness. Israeli Yedioth Ahronoth also reported that the judges found that, while under interrogation, Nimri had believed that the Shin Bet was threatening his family and would prolong his interrogation until he confessed. Criminal proceedings against Salaimeh are continuing. He has also confessed but has also retracted his confession several times. This proves that his confessions were made under pressure and for sure they could be false. The Israeli occupation authorities on Friday released the 14-year-old Palestinian child Malak al-Ghalith after eight months of captivity. Following her release, Ghalith said that "her happiness is incomplete" as she is worried about the other female prisoners she left behind in Hasharon jail. The Palestinian child affirmed in press statements that the Palestinian female prisoners in Israeli jails are held under harsh detention conditions. 2016 at Qalandia military checkpoint and she was considered the youngest Palestinian female prisoner. According to the Palestinian Prisoners and Ex-Prisoners Affairs Commission, there are 59 Palestinian female prisoners languishing in Israeli jails and suffering from regular abuse and harassment. The Israeli Occupation Forces (IOF) arrested late Thursday a mother of three prisoners held in Israeli jails, family sources affirmed. 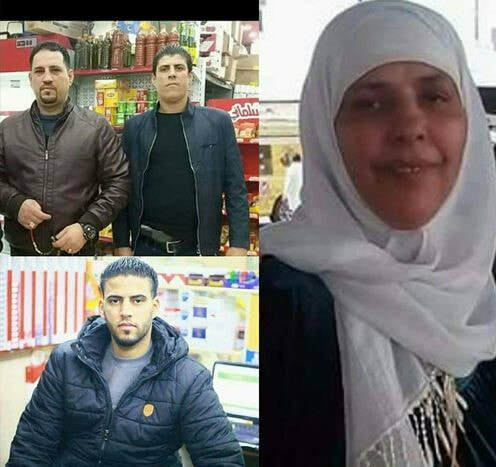 The mother, from Balata refugee camp in Nablus, was detained while attending her three sons’ trial in Salem military court. The detained mother was later taken to Ramla prison. 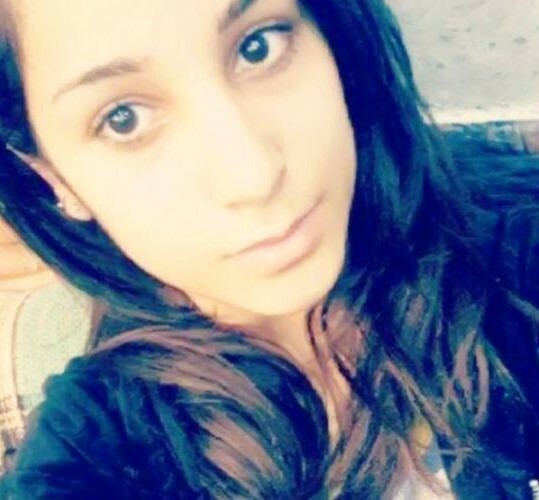 The Israeli occupation forces (IOF) on Thursday prevented two brothers of Palestinian prisoner Ansam Shawahneh, a 20-year-old girl from Qalqilya, from visiting her and confiscated their permits. According to the Palestinian Prisoner Center for Studies, Fathi Shawahneh, 22, and his little brother Mohamed, 10, were on route to Damon prison to visit their sister Ansam when officers at the Tulkarem crossing barred their access and withdrew the permits they had, with no reason. The center said that the Israeli occupation authority deliberately uses wanton punitive measures against relatives of Palestinian prisoners to make their lives difficult. 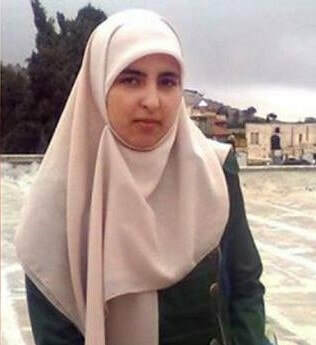 Israeli soldiers arrested Ansam Shawahneh in March 2016 near the illegal settlement of Kedumim, east of Qalqilya city, on allegations of her attempt to carry out a stabbing attack. An Israeli military court last month sentenced her to five years in jail after she spent 20 months without trial. Israel’s Ofer military court on Thursday extended for an additional five days the remand of a 16-year-old Palestinian girl who was filmed slapping an Israeli soldier. Ahed Tamimi’s mother Nariman, who was also featured in the widely shared video had her remand similarly extended until Monday. The military court judge ordered that Ahed’s cousin Nour — the third family member in the video — be released for 48 hours and pay a bail of $1,400. The Military Advocate General, who requested longer remands for Ahed, Nour and Nariman said that the prosecution intends on filing indictments for each of them. 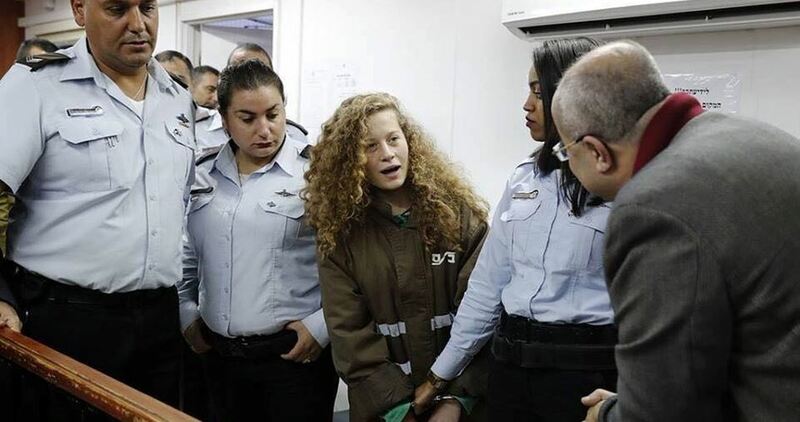 Regarding Ahed’s case, the Military Advocate General cited a number of incidents, which he said his office was taking into account in the indictments being formed against the 16-year-old that will be announced next week. In several incidents mentioned over the past two years, Ahed Tamimi was alleged to have thrown rocks at soldiers, assaulted them, spit at them, and obstructed soldiers from carrying out an arrest. Footage from the December 15 encounter in the West Bank village of Nabi Saleh shows Ahed and Nour approaching two Israeli soldiers, before shoving, kicking and slapping them. 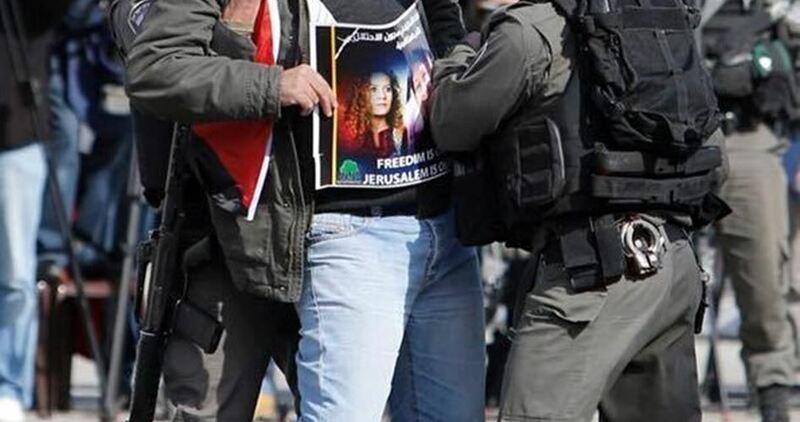 Ahed, the primary suspect of the case, has been accused of “assaulting a soldier, harming the security of the area, incitement, and other felonies,” according to court documents. In her version of the incident, shared in front of the court during a hearing last month, Ahed said that the same soldiers featured in the video had shot her cousin in the head with a rubber bullet an hour prior to the filmed encounter. “Then I saw the same soldiers who hit my cousin, this time in front of my house. I could not keep quiet and I responded as I did,” the 16-year-old testified. Palestinian lawyer Osama al-Saadi and MK Ahmed al-Tibi who attended the hearing said Ahed and her mother were kidnapped four days after the footage had gone viral, which is an indication of the harassment and crackdowns they have been subjected to at the hands of the occupation forces. “The Israelis have lost their temper due to a slap on a soldier’s face. However none of them has paid a heed to the crime perpetrated by Israel’s military forces who shot Ahed’s relative in the head,” they added.